Enhanced cash reward available for qualifying tips submitted by 12/27/18, 9 PM MT. Crimestoppers of Eddy County requests your assistance in locating an individual who has two warrants through Eddy County Sheriff’s Office for Criminal Sexual Contact of a Minor. On August 30, 2018 deputies with Eddy County Sheriff’s Office were dispatched to 3300 W. Main (Public Safety Complex) in reference to a report of Criminal Sexual Contact. Upon arrival and subsequent investigation detectives obtained evidence and statements to charge forty-seven year old Raul G. Delgado Jr with a single count of Criminal Sexual Contact of a Minor. 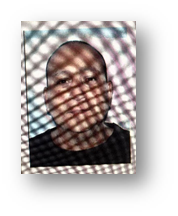 Attempts to locate Mr. Delgado have been unsuccessful and he currently has two felony warrants. On 12-19-18, Officers of Carlsbad Police Department responded to the Family Dollar located at 901 W. Mermod Street in regards to an armed robbery that just occurred. Law enforcement was advised that a male entered the store concealing his identify with a mask and demanded money while brandishing a firearm. The male left on foot and was seen getting into a silver Nissan 4 door passenger car with tinted windows. The car is then seen heading westbound on Fox Street. 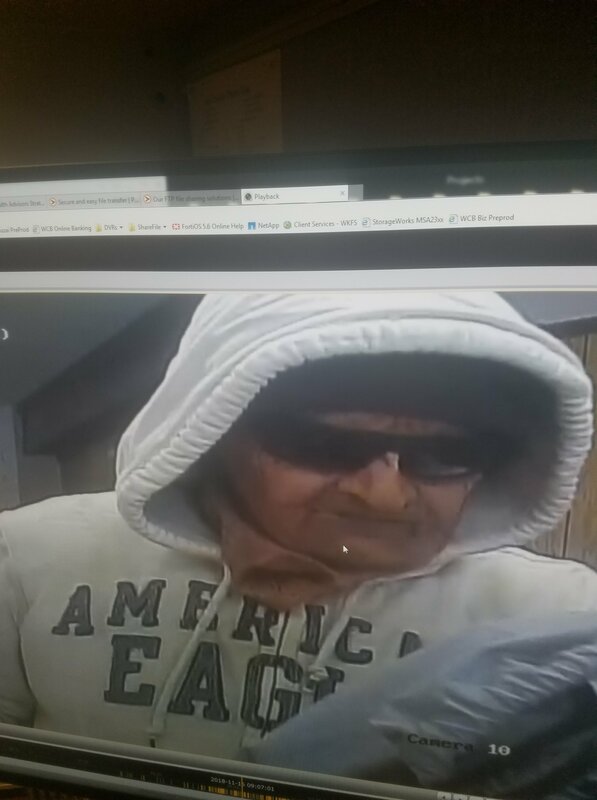 Crimestoppers of Eddy County is looking for any information and/or locations related to this suspect(s) involved in the incident. On 11-14-18, Officers of the Carlsbad Police Department responded to the local hospital in regards to an adult with a gunshot wound. The victim advised they were shot by an Indie Cervantes. On 12-5-18, Officers of the Carlsbad Police Department responded to the local hospital in regards to a woman who advised she was shot by Indie Cervantes. Search warrants and criminal complaints were approved through the local DA’s office and the magistrate judge has approved two arrest warrants. Indie is approximately 5’5”, 145 pounds, with brown hair, and brown eyes. Crimestoppers offers $50-$1000 rewards for information that leads to an arrest. Reward ending in 68 has yet to be claimed. 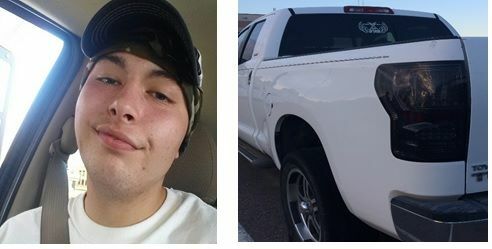 VICTIM: ALBERTO G. PARRAZ JR.
Crimestoppers of Eddy County requests your assistance in solving a Homicide that occurred in Eddy County. On October 25, 2018 at approximately 0839 hours deputies with Eddy County Sheriff’s Office were dispatched to 1602 Burgundy in reference to a male individual who was unconscious and not breathing. Upon arrival to the scene deputies and emergency medical professionals determined that the male individual, later identified as Alberto G. Parraz 45 years old of Carlsbad New Mexico, was deceased. Further investigation determined that Mr. Parraz has sustained a gunshot to his person. Detectives with the Eddy County Sheriff’s Office were contacted and arrived on scene to investigate this incident. The incident is still being investigated by the Eddy County Sheriff’s Office Detective Division. Rewards have been awarded for the following tips ending in 01, 06, 54. On November 16, 2018, officers responded to 501 North Canal Street in Carlsbad, NM in reference to an armed robbery. Officers met with employees who advised a male entered the bank brandishing a gun demanding money. Crimestoppers of Eddy County is looking for any information related to this suspect or the stolen items. April 21, 2018: Officers of Carlsbad Police Department and Carlsbad Fire Department to the 2700 block of Monte Vista in regards to a vehicle that was on fire. 6-14-18: Officers of Carlsbad Police Department and Carlsbad Fire Department to 711 Tierra Del Sol in regards to a truck that was on fire. 9-17-18; Officers of Carlsbad Police Department and Carlsbad Fire Department to the 3500 block of Joshua Court in regards to a small passenger car that was on fire. 10-11-18: Officers of Carlsbad Police Department and Carlsbad Fire Department to 1000 block of N. Thomas Street in regards to an RV that was on fire. 10-29-18, Officers of Carlsbad Police Department and Carlsbad Fire Department to 212 W. Wood in regards to a motorcycle that was on fire. In each of these cases, arson investigators determined that each of these vehicles were set on fire intentionally. Crimestoppers of Eddy County is looking for any information related to this suspect(s) involved in the incidents. Crimestoppers of Eddy County requests your assistance in solving a Homicide that occurred in Eddy County. On October 25, 2018 at approximately 0839 hours deputies with Eddy County Sheriff’s Office were dispatched to 1602 Burgundy in reference to a male individual who was unconscious and not breathing. Upon arrival to the scene deputies and emergency medical professionals determined that the male individual, later identified as Alberto G. Parraz 45 years old of Carlsbad New Mexico, was deceased. Further investigation determined that Mr. Parraz has sustained a gunshot to his person. Detectives with Eddy County Sheriff’s Office were contacted and arrived on scene to investigate. Crimestoppers of Eddy County requests your assistance in solving an Aggravated Burglary and Larceny of a Firearm that occurred in Eddy County. On October 6, 2018 at approximately 1405 hours, Deputies responded to Picacho Street in reference to a report of a residential burglary. The victim of this incident stated to deputies that someone had broken into his house and took his .22 caliber rifle along with approximately $1600 dollars in money. He advised he had some friends over at his house on October 5, 2018. The victim stated these friends left around 0430 hours on October 6, 2018 at that was the last time he noticed this items. The estimated loss of this incident is $2,200.00. Crimestoppers of Eddy County requests your assistance in solving a larceny. On 08/31/18 Tate Branch Dodge report that a 2014 PJ 14’x8’ bumper pull dump trailer had been taken from their lot. The trailer was secured with a hitch lock. The trailer also had a spare tire carrier and lock on the tool box. 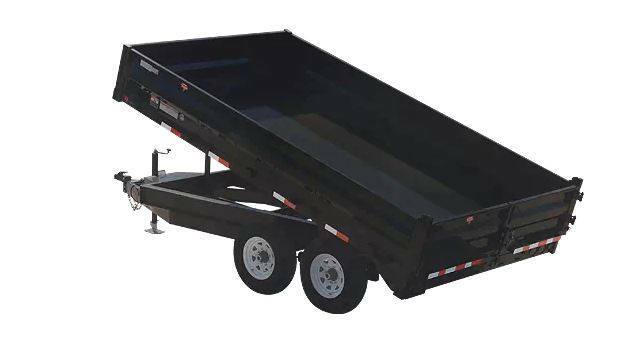 The trailer is similar to the one pictured. If you have any information as to the suspects responsible for this crime or the vehicle please contact Crimestoppers with information. Crime stoppers offers $50-$1000 rewards for information that leads to an arrest. Rewards ending in 96, 01, and 06, have yet to be claimed. Crimestoppers of Eddy County requests your assistance in solving an Injuring, Tampering to a Motor Vehicle that occurred at 7317 Conestoga at approximately 1830 hours on June 15, 2018. Deputies with Eddy County Sheriff’s Office responded to 7317 Conestoga Road in reference to the victim of this incident reporting that her vehicle had been vandalized. Upon law enforcement arrival, they observed the back window and driver’s side front window of a white Ford Explorer to be completely shattered. The victim told deputies that the last time she saw the vehicle undamaged was on June 14, 2018 when she parked it on her property. Through the course of the investigation it was determined that there was video surveillance of the residence at the time the vehicle was vandalized. An unidentified vehicle was observed to drive onto the property at approximately 0339 hours on June 15, 2018. 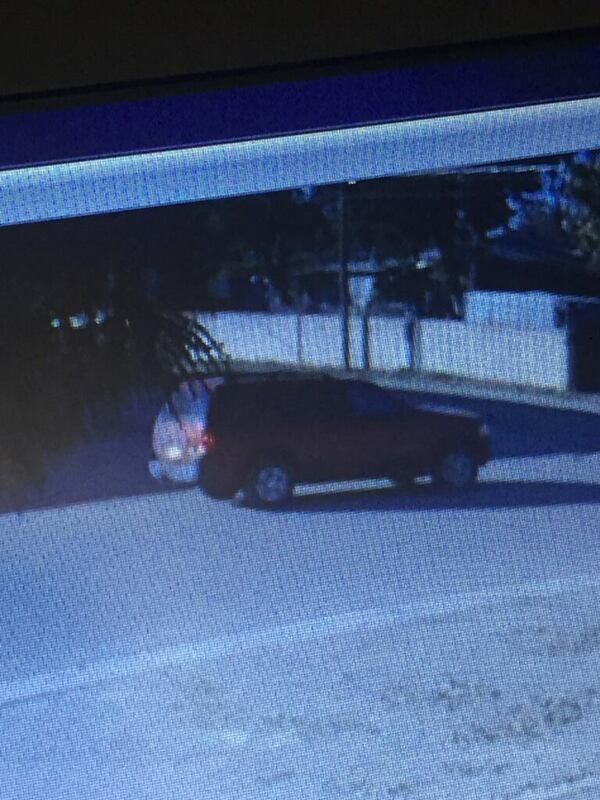 A male individual approximately 5 foot 9 inches tall was seen exiting this same vehicle, wearing a gray sweatshirt and something covering his face. Shortly after the victim’s vehicle was vandalized this same male individual was seen getting back into the unidentified vehicle and leaving the scene. The male suspect is described as being tall and skinny. Total value of the damage to the vehicle is approximately $1,000.00. 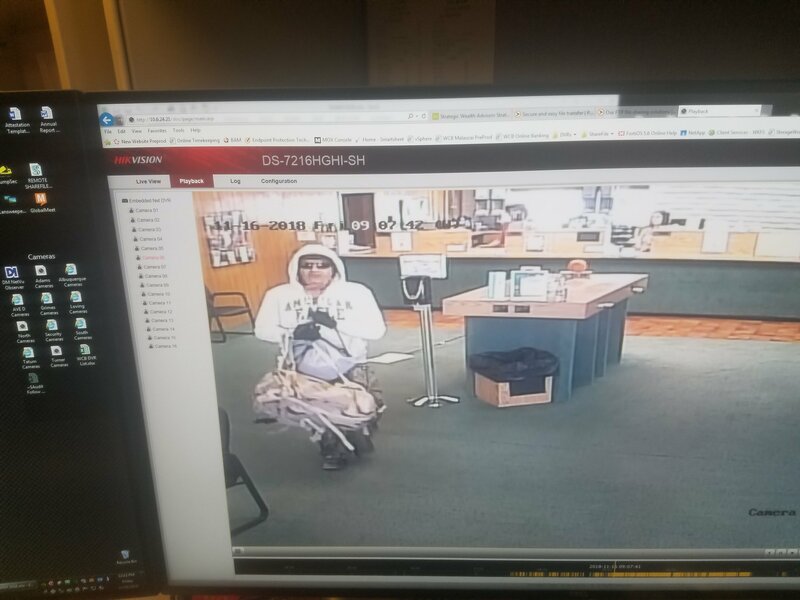 Crimestoppers of Eddy County requests your assistance in solving a Larceny ($500.00 to $2,500.00) and Burglary that occurred at xxxx Martin Lane in Carlsbad New Mexico. On August 2, 2018 deputies with the Eddy County Sheriff’s Office were contacted by the victim of this incident and advised that a storage container had been broken into and several items had been removed. The victim stated that on August 2, 2018 they noticed that a storage container they utilize to store items had been broken into and several of their belongings had been removed from that location. He advised that a 40-inch Sanyo television, XBOX 360 gaming console, and approximately 25 XBOX games were missing from inside the container. He also advised that the four pad locks he used to lock the container had been cut off and removed. The victim stated the last time they saw the items in the container was on August 1, 2018 at approximately 2000 hours. The estimated value of these stolen items is $900.00. Crimestoppers of Eddy County requests your assistance in solving a hit and run. On 06/22/18 at 4:21 AM a crash involving a bicyclist was reported. Officers found that a bicyclist was traveling on the southbound side of U.S. 285 just north of the intersection with Mill Rd. The vehicle that struck the pedestrian fled the scene and the bicyclist was later found by a passerby. The bicyclist was airlifted to a trauma center with serious injuries. 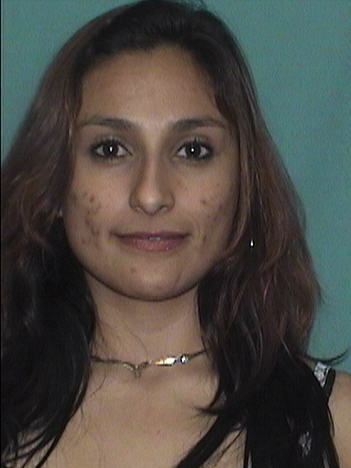 Through the investigation it was discovered the vehicle involved is a 2000-2005 Dodge Neon. ON JUNE 11, 2017 AT 1:24 A.M. 20-YEAR-OLD TRISTAN SPIVA WAS STRUCK AND KILLED BY THE DRIVER OF THIS TRUCK. EYE WITNESS STATED THE WHITE TOYOTA TUNDRA STRUCK TRISTAN SO HARD HE FLEW INTO THE GRASSY DITCH AREA. WHITE TOYOTA TUNDRA DID NOT STOP AND CONTINUED SOUTH ON BOYD DRIVE. ANY INFORMATION REGARDING THE EVENING HOURS ON JUNE 10, 2017 THROUGH 1:24 A.M. ON JUNE 11, 2017 AND THIS TRUCK IS ENCOURAGED TO CALL CRIME STOPPERS. 20-YEAR-OLD TRISTAN SPIVA’S SIBLINGS, PARENTS, GRANDPARENTS, RELATIVES, AND FRIENDS HAVE SUFFERED A GREAT LOSS AND WILL NEVER UNDERSTAND THIS SENSLESS AND COWARDLY ACT. YOUR HELP IS BEING REQUESTED TO BRING CLOSURE IN THIS MATTER. Crime stoppers of Eddy County is looking for any information related to this suspect(s) involved in the incident. Crimestoppers of Eddy County requests your assistance in solving a Larceny (20,000.00 or More) of oil field equipment. On August 17, 2018 detectives with Eddy County Sheriff’s Office were contacted by a representative of Tiger Industrial and advised that a trailer containing several pieces of oilfield equipment had been taken from a lease location off Western Refining Road. The representative stated that on July 28, 2018 they noticed that one of their equipment trailers had been taken from a lease location. The representative stated the trailer contained two pressure washers and a water tanker. The trailer was described as being a black double axle trailer with an owner implied number of 170. The first pressure washer is described as being black in color with an owner implied number of 0405-1 welded under the unit. The second pressure washer is described as being black with an owner implied number of 0313-124 welded on the bottom of the unit. The serial number for the motor of the pressure washer is D1006-CA6122. The estimated value of these stolen items is $35,000.00. On July 23rd, 2018, Shannon Marquez of 2509 W. Church, Carlsbad, NM reported to Carlsbad Police Department’s Animal Control officers that Chihuahua dog had died around 0718 hours. At approximately 1159 hours, Shannon reported her other dog German Shepherd "Kiara" pup had died while in route to Weldon Veterinary Care. Shannon and the veterinary clinic staff advised the dog had passed due to rodenticide toxicity. On August 8th, 2018, Naomi Olivares of 2202 Georgia Street, Carlsbad, NM reported her German Shepherd "Max" was ill on July 23rd, 2018. Ms. Olivares took Max to Carlsbad Animal Clinic and Max had to be humanly euthanized because his condition worsened. On 08/09/2018, Daniel R Hernandez of 2106 Georgia Street reported to the Carlsbad Police Department his German Shepard "Sheriff" had passed away at Carlsbad Animal Clinic on 08/08/2018. Sheriff had passed due to possible ingestion of poison or toxins. 2106 Georgia Street. On 08/15/2018 at approximately 2300 hours, Cpl. Castillo received a report of dog poisoning from Clayton Ballard who lives at 706 N. Olive Street. Mr. Ballard stated his dog had the same symptoms as the other dogs that were reported on Facebook as being poisoned. As a result of their systems, Ballard’s English Springer Spaniel passed away and his Chihuahua dogs only exhibited fatigue but survived. On 08/17/2018 at approximately 1400 hours, Stephanie Lopez of 2509 W. Church Street found her female pit bull dog deceased in her back yard. Ms. Lopez stated blood was coming out of the mouth and its suspected the dog was poisoned. In each of these cases its been suspected by CPD Animal Control and several veterinary clinics that the dogs were poisoned. Crimestoppers of Eddy County is looking for any information related to this suspect(s) involved in the incident. Crimestoppers offers $50-$1000 rewards for information that leads to an arrest. Rewards ending in 54,84, and 96 have yet to be claimed. On July 16, 2018 during the morning hours 21yo victim, Fabian Sandoval, was found on the railroad tracks by 122 E Lea Street (Dog Park area). Fabian was covered in blood and missing his right hand and most of his left arm. Fabian was initially treated by EMS on scene and found to have a severe skull fracture as well. Fabian later advised he walked home around midnight (7/15/18) and spoke with approximately 5 transients on a picnic table at MLK Park. 3 of the transients were male and 2 were female. One particular male has been in ECDC multiple times and walks with a slight limp. He may go by the street name "Sleepy or Ralph." Male transient and person of interest explains his limp as a result of being shot. Fabian advised his money, ID, and phone were all missing. Crimestoppers of Eddy County is requesting your assistance in solving a hit and run. On 06/22/18 at 4:21 AM a crash involving a bicyclist was reported. Officers found that a bicyclist was traveling on the southbound side of U.S. 285 just north of the intersection with Mill Rd. The vehicle that struck the pedestrian fled the scene and the bicyclist was later found by a passerby. The bicyclist was airlifted to a trauma center with serious injuries. Through the investigation it was discovered the vehicle involved is a 2000-2005 Dodge Neon. Crimestoppers of Eddy County requests your assistance in solving an Extreme Cruelty to Animals that occurred sometime between July 30,, 2017 and July 31, 2017. Detectives with the Eddy County Sheriff’s Office responded to 634 Angel Ranch Road in reference to several cattle being shot and killed. Upon law enforcement arrival, six cattle were found deceased over two separate properties. Further investigation determined that a high caliber rifle was used within a half mile radius of two separate residences. Multiple pieces of evidence were collected from the scene and that evidence is being processed. The cows that were shot are described as a red roping steer, a black cow, a black cow with a white face, a black angus cow, another black angus cow, and a black bald cow. The total value of the cattle is approximately $17,000 to $20,000. This is an ongoing investigation with multiple organizations such as the Eddy County Cattle Growers Association, Bureau of Land Management and Crimestoppers offering rewards if information received leads to an arrest. Rewards have been awarded for the following tips ending in 50, 58, 84. If you have any information as to the suspect(s) responsible for this crime, please contact Crimestoppers with information. If everyone in the Valley can be on the look out for this suspect. In the early morning hours the Chaves County SO was involved in a pursuit with a possible drunk driver/stolen vehicle. The man in the photograph is the suspect that stole the vehicle used in this incident. The vehicle was stolen out of Colorado. This subject is believed to be the driver who intentionally struck a Dexter Police Officer with that vehicle. The suspect fled near the intersection of S.R. 2 and Shawnee through a corn field. He is wearing all black and does have injuries related to the crash. If anyone observers this suspect do not approach but call 911. Crimestoppers of Eddy County requests your assistance in solving an arson. On 6/22/2018 at approx. 0355 a car fire was reported at the intersection of 10th and Champ Clark Drive. Upon reviewing the video it was noted than an individual was seen walking North bound on 10th St and appeared to have an object in their left hand that was lit. You can then see the individual approach the passenger side of the vehicle. On the video a loud sound is heard and the object from the individuals hand is tossed in the vehicle. The individual then continues walking North on 10th Street. If you have any information as to the suspects responsible for this crime, please contact Crimestoppers with information.